2. Sperber AD, Dumitrascu D, Fukudo S, Gerson C, Ghoshal UC, Gwee KA, Hungin AP, Kang JY, Minhu C, Schmulson M, Bolotin A, Friger M, Freud T, Whitehead W. The global prevalence of IBS in adults remains elusive due to the heterogeneity of studies. A Rome Foundation working team literature review. Gut 66: 1075-1082, 2017. 3. Enck P, Aziz Q, Barbara G, Farmer A, Fukudo S, Mayer E, Niesler B, Quigley E, Rajilic-Stojanović M, Schemann M, Schwille-Kiuntke J, Simren M, Zipfel S, Spiller R. Irritable bowel syndrome (IBS). Nature Reviews Disease Primers 2: 16014, 2016. 4. Francisconi CF, Sperber AD, Fang X, Fukudo S, Gerson MJ, Kang JY, Schmulson W MJ. Multicultural aspects in functional gastrointestinal disorders (FGIDs). Gastroenterology 150: 1344-1354, 2016. 5. Fukudo S, Kinoshita Y, Okumura T, Ida M, Akiho H, Nakashima Y, Nishida A, Haruma K. Ramosetron reduces symptoms of irritable bowel syndrome with diarrhea and improves quality of life in women. Gastroenterology 150: 358-366.e8, 2016. 6. Fukudo S. IBS: Autonomic dysregulation in IBS. Nature Reviews Gastroenterology and Hepatology 10(10): 569-571, 2013. 7. Aizawa E, Sato Y, Kochiyama T, Saito N, Izumiyama M, Morishita J, Kanazawa M, Shima K, Mushiake H, Hongo M, Fukudo S. Altered cognitive function of prefrontal cortex during error feedback in patients with irritable bowel syndrome, based on fMRI and dynamic causal modeling. Gastroenterology 143(5): 1188-1198, 2012. 9. Kanazawa M, Fukudo S, Nomura T, Hongo M. Electrophysiological correlates of personality influences in visceral perception. JAMA 286: 1974-1975, 2001. 10. 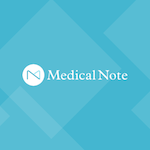 Fukudo S, Nomura T, Hongo M. Impact of corticotropin-releasing hormone on gastrointestinal motility in normal subjects and patients with irritable bowel syndrome. Gut 42: 845-849, 1998. 11. Fukudo S, Lane JD, Anderson NB, Kuhn CM, Schanberg SM, McCown N, Muranaka M, Suzuki J, Williams RB Jr. Accentuated antagonism of β-adrenergic effects on ventricular repolarization: evidence of weaker antagonism in hostile type A men. Circulation 85: 2045-2053, 1992. 12. Fukudo S, Virnelli S, Kuhn CM, Cochrane C, Feinglos MN, Surwit RS. Muscarinic stimulation and antagonism and glucoregulation in nondiabetic and obese hyperglycemic mice. Diabetes 38: 1433-1438, 1989. 13. 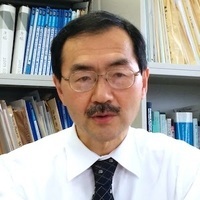 Fukudo S, Suzuki J. Colonic motility, autonomic function, and gastrointestinal hormones under psychological stress on irritable bowel syndrome. Tohoku J Exp Med 151: 373-386, 1987.